The Vernon Yacht Club is a not-for-profit and run by incredible staff members, hundreds of dedicated volunteer members and a hardworking board of directors. The annual Boat Show is our largest yearly event and we have 100+ volunteers to help run the event and all donations go to the Salvation Army Food Bank. VYC Staff Captain, Susan Mathews: “The Vernon Boat Show is organized and run solely from volunteers and a few staff who put in many hours to make this a great and free public event.” The VYC Boat & Watersports Show is a free public event, please bring a donation for the Salvation Army Food Bank. Donations are dropped of at the KingFisher Boat at the entrance to the show. 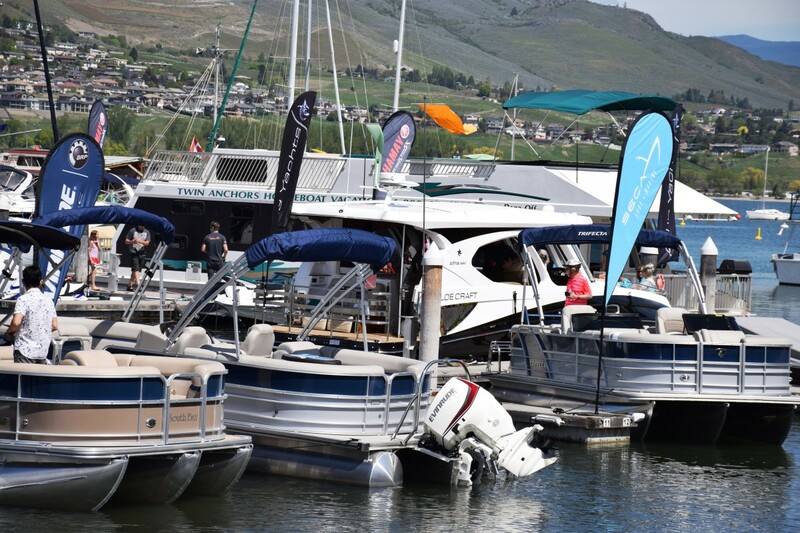 A Huge THANK YOU to Twin Anchors Houseboats for providing the 2019 VYC Boat Show’s Grand Prize for the 4th year in a row! There will be many door prizes announced on Sunday, May 5th and everyone who puts their name in for the Twin Anchors Houseboat vacation on Shuswap Lake has a great chance to win! Good luck everyone! This year we’re teaming up with UnPlug and PLAY again to bring children’s activities to our Boat Show. OASISS has a fun microscopic lake creatures activity “Water Alive” where kids can gather water from the lake and view all the tiny living creatures they catch as well as create nautical crafts! The North Okanagan Sailing Association will bring back their popular “Wooden Boat Building” activity for young children to make a small wooden boat then can pull along the shoreline. We have free family sailing trips with volunteer VYC members and a new vendor, Holy Doodle Sailing Charters, offering tours of their boat and offering information on the upcoming season. One of the favourite things to do at the Boat Show is to enjoy the view from our deck and clubhouse. We have both indoor and outdoor seating at the yacht club and offer a delicious barbeque menu and beverages throughout the show. Everyone’s welcome to check out both levels of our yacht club and speak to our Vernon Yacht Club representatives at the VYC booth under the yellow VantageOne Credit Union tent! 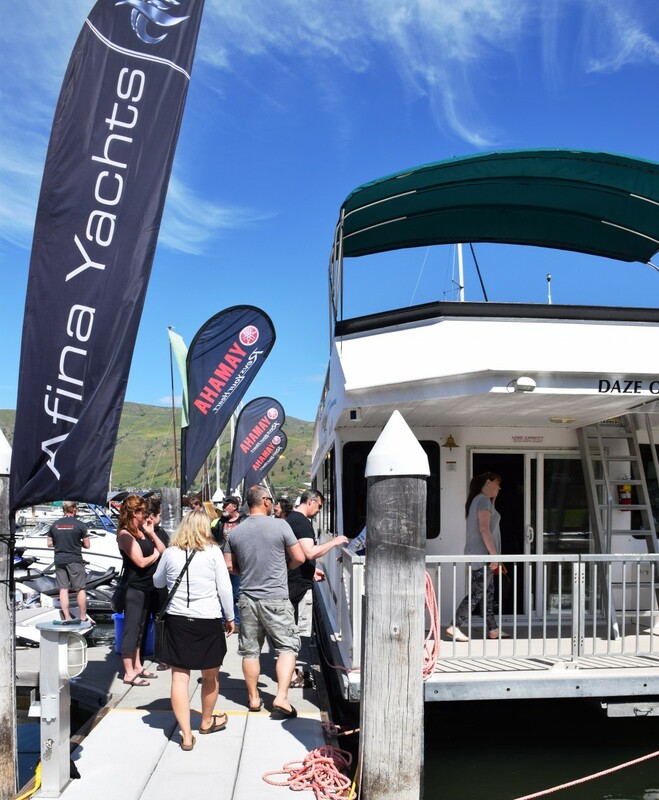 Also New for 2019 is a dedicated corner of our exhibition site for used boats for sale, some from boat vendors and others from private owners. If you or anyone you know has a boat for sale you would like to include here, please contact our Boat Show Chair, Fred Haight at: alboe@telus.net. 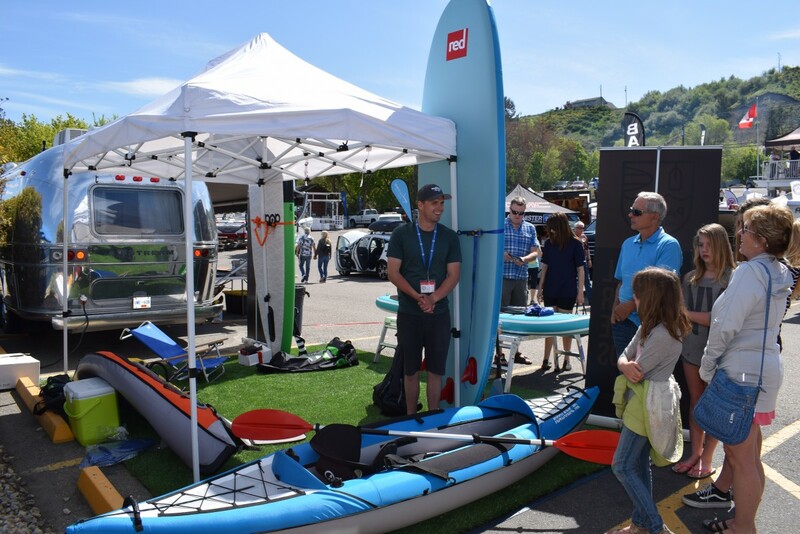 Every year the Vernon Yacht Club’s Boat Show features vendors who offer equipment and services for fun, adventure and sports on the lake. The Paddle Lifestyle, Banner Recreation & Marine, Innerspace Watersports, BDM Motorsports, Okanagan Recreational Rentals, North Okanagan Sailing Association, Seca Surf & Marine, Kelowna Yamaha & Marine, Malibu Marine, Vernon Paddling Centre and the Vernon Telescope, Nature & Science are some of the business coming to equip you with the best gear. 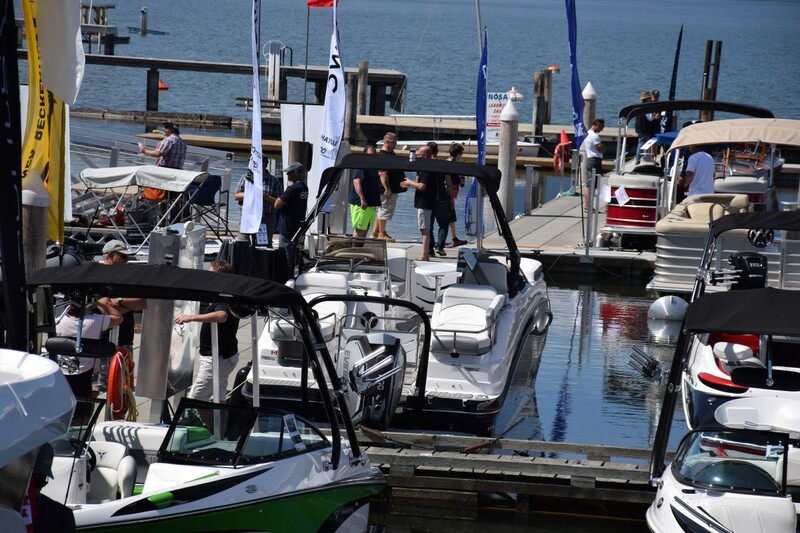 The Boat Show is a one stop event for everything you need to get out on the water! Back again this year is the popular McLellan F1- The Canadian Energy, Optima Batteries Racing Team lead by Mike McLellan! 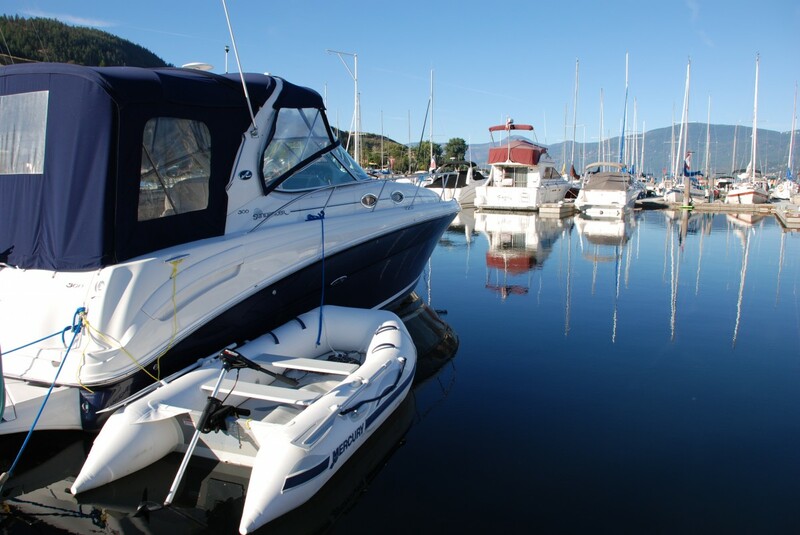 The Vernon Yacht Club Boat Show is an annual event and attracts thousands of people from Thompson Okanagan Region to enjoy a fun-filled weekend at the lake! To get to the 30th VYC Boat & Watersports Show, park at Marshall Field and hop on the shuttles sponsored by Kal TIre. The shuttles run every 10 minutes starting one hour before the show until close. Thank you so much for the generous support of our sponsor: KalTire, Okanagan Spring Brewery, Sandman Hotel and Suites, Vantage One Credit Union, Sun FM, Beach Radio and KingFisher Boats! 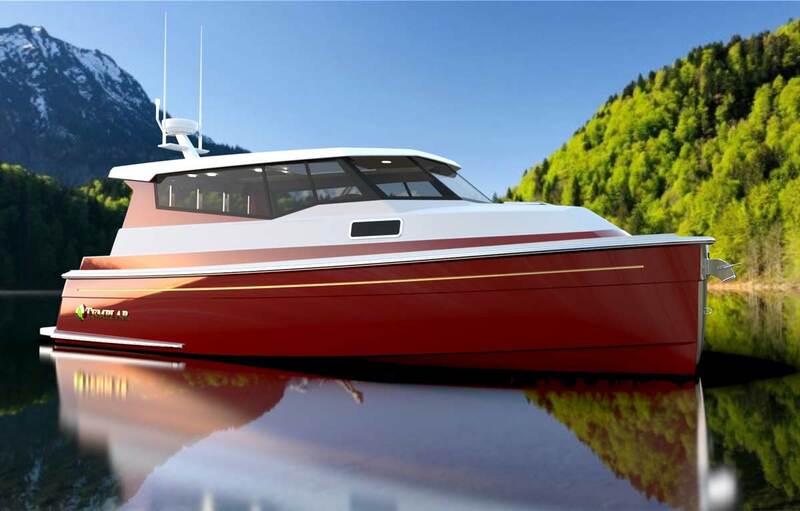 This entry was posted in News on 2019-04-12 by Vernon Yacht Club.